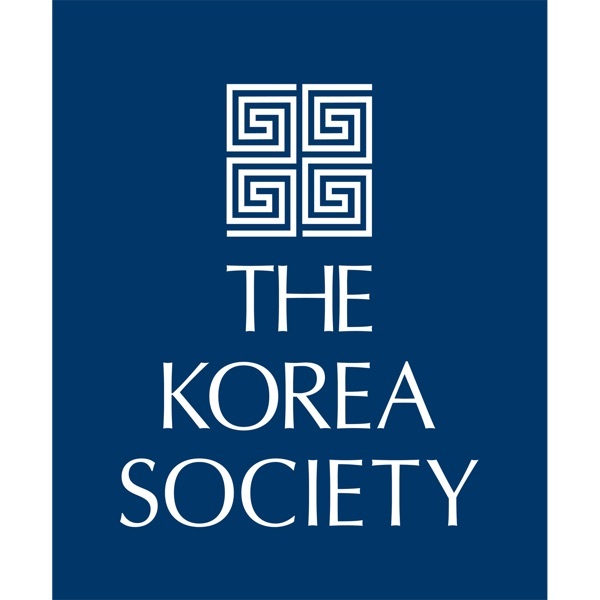 The Korea Society, an American organization promoting greater awareness, understanding and cooperation between the people of the United States and Korea, presents the leading voices in public policy, business, education, intercultural relations, and the arts. April 18, 2019 - Professor Gordon Flake (Perth USAsia Center) offers perspectives on Korea Looking North and Looking South in a presentation to senior professionals at the Korea Society. April 11, 2019 - Author and Young China Group founder Zakary Dychtwald addresses generational dynamics affecting domestic politics and foreign policy in Northeast Asia. He examines aspirations, innovation and employment in conversation with Society associate director Jonathan Corrado. This event is co-hosted by the Columbia Business School’s APEC Study Center. April 4, 2019 - Kimchi and soju are staples of daily life in Korea and tend to represent the cuisine for foreigners. Though kimchi and soju are strongly associated with Korea, their history has remained elusive. Cambridge's Michael D. Shin delves into the origins of these foods by looking at the eating and drinking culture of the Joseon period. This gives us a fuller picture of the life of the peasantry during that time, helping us to understand what makes kimchi and soju so characteristically Korean. This talk introduces the book Everyday Life in Joseon-Era Korea, which presents aspects of the period from the perspective of the peasantry. April 3, 2019 - The Korea Society welcomes former United Nations Command/Combined Forces Command/US Forces Korea Commanders Generals (ret.) Vincent Brooks and Walter “Skip” Sharp for an insightful hour of analysis on Korea and prospects for peace and confidence-building going forward. General Brooks, who recently completed his tenure in Korea and spoke at Stanford University in March, reflects on the state of the US-ROK alliance, US negotiations with North Korea, and progress in inter-Korea relations, in conversation with General Skip Sharp, a member of the Korea Society Board of Directors. March 28, 2019 - Adam Mount, Mira Rapp-Hooper and Ankit Panda discuss the results of a consensus effort of fifteen experts from the US, ROK, Japan, Canada, and UK to develop a strategy toward a North Korea that maintains nukes. They warn that without a major shift in strategy, a nuclear-armed North Korea will expand its ability to aggress against its neighbors, conduct illicit activities around the world, and resist efforts to improve the welfare of its population. March 14, 2019 - Simultaneity presents an ongoing series based on the Korean Dansaekhwa monochrome movement by artist Suh Seung Won (b. 1941), a pioneer of geometric abstraction in Korean contemporary art. Expanding on a career across five decades, Suh’s Simultaneity series explores his continued meditations on the concurrence of time and space, expressed through interactions between geometric forms and the underlying surface. This exhibition primarily shows Suh’s works created between 1970 and the present, in which the rigid geometric forms found in his earlier works shift into more obscure, diaphanous patterns, creating new depths within the surface of the picture plane. This expansion of Suh’s previous abstractions produces works which appear monochrome from a distance, but upon closer examination are revealed to be composed of a variety of colors, allowing the artist to show the coexistence of the visible and the invisible aspects of reality. Suh seeks to enable the unseen to be seen through the use of the physical medium of paint to render the “world of nirvana”, the intangible phenomena beyond human awareness. The harmonious balance between space and form found in the Simultaneity series exposes a truth beyond the limits of visible human reality. For Suh Seung Won, these works explore the ways in which the consistency of time can be interpreted through the consistency of space in a unification of form, color and surface. Works by Suh Seung Won are included in the permanent collections of The National Museum of Modern and Contemporary Art (Korea), Seoul Museum of Art (Korea), The British Museum (UK), Hokkaido Museum of Modern Art (Japan), Shimonoseki Museum (Japan), and the Brooklyn Museum (US). His works have been featured in key international exhibitions, including “Five Korea Artists, Five Kinds of White” at the Tokyo Gallery (1975), “Korea: Facet of Contemporary Art” at the Tokyo Museum (1983), “Art Contemporain Coreén” at the Cordeliers Convent in Paris (1995), “The Facet of Korean and Japanese Contemporary Art” at the Gwangju Biennale (2000), and “Origin” at the Galerie Perrotin in Paris (2016). This exhibition is presented in collaboration with the Donghwa Cultural Foundation. Art critic and curator Raphael Rubinstein will address the work of Suh Seung Won in the context of 20th century abstraction and contemporary painting, noting how Suh has developed a distinct approach that highlights the perceptual, meditative qualities of abstraction in which the borders between figure and ground seem to dissolve. March 7, 2019 - AP’s lead North Korea photographer Wong Maye-E shares images of North Korea and its people, in conversation with Society senior director Stephen Noerper. This program enjoys the support of Columbia University's Center for Korean Research (CKR). March 1, 2019 - The Stimson Center and Korea Society provide a first look at the US-DPRK summit results. Project 38 North at the Stimson Center Director Joel Wit joins senior director Stephen Noerper in a rapid reaction assessment of the second Trump-Kim summit. This news maker event identifies takeaways, highlights dynamics between the US and North Korean leaders, explores progress toward denuclearization, and speaks to change in North Korea. February 28, 2019 - The year 2019 marks the 100th anniversary of the March First Movement, the largest uprising against Japanese rule during the colonial period (1910-1945). The movement’s now mythic status in Korean nationalism has obscured much of its complexity. This talk with Prof. Michael Shin aims to put the movement into a broader context by discussing some of its lesser-known or forgotten aspects. By doing so, it will be possible to have a better understanding of how the movement was a crucial movement in the development of Korean nationalism and how it is important to understanding Korea today. February 25, 2019 - Famed producer Won Dong-Yeon--the creative force behind Along with the Gods and Masquerade--speaks to the state of Korean film today and intricacies of the film industry at home. He also reflects on the power of Korean directors, producers and actors for the global box office. Often considered the highest achievement in Korean fiction, The Nine Cloud Dream poses the question: Will the life we dream of truly make us happy? Written in 17th-century Korea, this classic novel’s wondrous story begins when a young monk living on a sacred Lotus Peak in China succumbs to the temptation of eight fairy maidens. For doubting his master’s Buddhist teachings, the monk is forced to endure a strange punishment: reincarnation as the most ideal of men. On his journey through this new life full of material, martial, and sensual accomplishments beyond his wildest dreams, he encounters the eight fairies in human form, each one furthering his path towards understanding the fleeting value of his good fortune. As his successes grow, he comes closer and closer to finally comprehending the fundamental truths of the Buddha’s teachings. Like Hesse’s Siddhartha, The Nine Cloud Dream is an unforgettable tale that explores the meaning of a good life and the virtue of living simply with mindfulness. February 14, 2019 - South Korea's National Assembly Speaker, the Honorable Moon Hee-sang, delivers an address on Striving for Peace on the Bedrock of the ROK-US Alliance. The speech comes in advance of the second summit between the US President and North Korean leader. February 1, 2019 - Committee for Human Rights in North Korea Executive Director Greg Scarlatoiu, Bush Institute Director for Human Freedom Lindsay Lloyd, and CSIS Korea Chair Victor Cha speak to the landmark UN COI human rights report a half decade on from its release. January 25, 2019 - Track2Asia Director Glyn Ford discusses his new book Talking to North Korea with Society senior director Stephen Noerper. Informed by extraordinary access to the country’s leadership, Ford investigates the regime from the inside, acknowledging that North Korea is a deeply repressive state that nonetheless has sections of its leadership determined to end its isolation. January 10, 2019 - Begin 2019 with renowned Buddhist teacher and writer Haemin Sunim. Born in Korea and educated in the United States, he has more than a million Twitter and Facebook followers. His books The Things You Can See Only When You Slow Down--published in thirty languages--and Love For Imperfect Things have sold more than four million copies. Join Haemin Sunim for an hour of insightful conversation and reflection. January 15, 2019 - Korea Risk Group CEO Chad O’Carroll and German diplomat Jan Janowski examine how to navigate information deficits when communicating within or reporting on North Korea. Lean into the new year with this informative session aimed at policy and corporate supporters, members, and media. December 20, 2018 - Join us for a discussion on opportunities and next-steps in negotiations on Korea. Eminent thought leaders David Kang and Thomas Hubbard keynote the discussion and appear in conversation with Thomas Byrne. This program follows-on the Fall 2018 address by ROK President Moon Jae-in to the Council on Foreign Relations/Korea Society/Asia Society. December 6, 2018 - Dr. S. Heijin Lee, Assistant Professor at NYU and freelance journalist Lai Frances delve into representations of gender roles in Kpop. They explore the traditional notions of masculinity and femininity reflected in artists’ concepts and LGBTQ+ issues in Kpop. December 6, 2018 - Brookings Institution Senior Fellow and SK-Korea Foundation Chair Jung H. Pak and Center for Strategic and International Studies (CSIS) Korea Chair Senior Fellow Sue Mi Terry address the progress and pitfalls in inter-Korean relations, Seoul-Washington ties, and US-DPRK dialogue. Dr. Pak joins us at the Society, while Dr. Terry joins via video uplink. Dr. Stephen Noerper, Senior Director for Policy, moderates this lively and engaging discussion with Drs. Pak and Terry, two of America’s preeminent thought leaders on Korea. This event is co-hosted by the Columbia Business School’s APEC Study Center. November 29, 2018 - Social media advances K-pop’s reach around the globe, with YouTube and Twitter buzzing with the latest content from Korean artists. Tumblr Content Insights Associate and K-pop specialist, Beatrice Vantapool, and BuzzFeed’s Sarah Han, explore how technology has connected and created fans worldwide. November 16, 2018 - While male-focused narratives have led Western and American comics, manhwa (Korean comics) are leading the charge for women and gaining popularity as a cultural export, reaching fans worldwide via mobile apps. Artists Narae Lee, Ministry of Culture Grand Prize winner, and Kyungran Park discuss their craft at The Korea Society. Sun Bang, CEO of TappyToon, provides insight into this rapidly expanding global industry. November 15, 2018 - The Korea Society invites you to the gallery talk and closing reception of the exhibition, Kwang Young Chun: Aggregation. Artist Kwang Young Chun discusses his craft and the techniques used to create his acclaimed artwork. November 9, 2018 - Congressional Research Service Asia Affairs specialists Mark Manyin and Emma Chanlett-Avery speak on the US Congress and Korea issues. Authors of important CRS reports on US-South Korea relations and negotiating with North Korea, Manyin and Chanlett-Avery appear in conversation with Senior Director Stephen Noerper. November 1, 2018 - The Korea Society and the Korean Startups & Entrepreneurs Association (KSE) address the topics of fintech, financial services, and technology. Panelists explore how innovative technologies and influential tech entrepreneurs are disrupting and redefining the traditional finance industry. October 25, 2018 - US Naval War College Professor and Asia-Pacific Studies Group Director Terence Roehrig discusses the nuclear umbrella in Northeast Asia in the context of deterrence theory and US strategy. In conversation with the Society’s Stephen Noerper, Roehrig examines the role of the nuclear umbrella in South Korean and Japanese defense planning and security calculations, including the potential for either the ROK or Japan developing its own nuclear weapons. Professor Roehrig also addresses US and South Korea efforts at North Korean denuclearization in this context. The Korea Society is co-hosting this program with Columbia University's Center for Korean Research. October 11, 2018 - Delve into K-beauty with Renée, known online as Gothamista, a prominent beauty guru on YouTube! Having a keen interest in core ingredients used in K-beauty products, she shares the latest K-beauty skin care tips and her favorite skincare regime for the fall. Moderated by Devon Abelman, Allure’s digital beauty reporter, covering viral makeup trends, rainbow hair, K-beauty and more. October 11, 2018 - The Diplomat’s Ankit Panda discusses North Korea nuclear weapons, intercontinental ballistic missiles, and diplomatic pathways aimed at mitigating these threats. Panda, also an Adjunct Senior Fellow at the Federation of American Scientists, joins Associate Director Jonathan Corrado in this Young Asia Policy Professionals event, which is open to the public. October 2, 2018 - The 1988 Seoul Olympics represents South Korea’s first foray as international host and hub. Senior Director and Columbia Adjunct Professor Stephen Noerper leads a special lunchtime discussion marking the thirtieth anniversary of the closing ceremony of the ‘88 Summer Games, which proved vital for Korea’s global “coming out,” Seoul’s development, and democracy’s hold. This program features a special call in from Georgetown University Professor, and fellow sports diplomacy enthusiast, Victor Cha. September 27, 2018 - Styling and beauty are quintessential elements of the Kpop lifestyle. Devon Abelman, Digital Beauty Reporter at Allure Magazine, uncovers Kpop hair, skincare, and beauty trends. September 27, 2018 - Asia business and policy veterans Philip Sherman and David Anderson convene an Old Asia Hands luncheon to discuss negotiations around the Korean Peninsula. This group of seasoned professionals weighs the prospects for success in current ROK-DPRK and US-DPRK negotiations, with remarks by Senior Director Stephen Noerper. September 25, 2018 - This event was produced in collaboration with Council on Foreign Relations and Asia Society. His Excellency Moon Jae-in, President of Republic of Korea, addresses the current situation on the Korean Peninsula, South Korea’s alliance with the United States and efforts to denuclearize North Korea. September 20, 2018 - Architect and educator Dongsei Kim--recipient of the 2018 Sherman Family Korea Emerging Scholar Lecture Series award--explores how the discipline of architecture and landscape architecture investigates the Demilitarized Zone. Through the prism of spatial design and with three concrete examples, Professor Kim argues for a reformulation of exclusionary border conditions into inclusive spaces that become synergistic and productive for both Koreas. September 13, 2018 - Kimchi is a staple side dish, known as banchan, in Korean cuisine. Made from salted and fermented vegetables, there are various types of kimchi, unique from region to region, depending on ingredients and weather conditions. Through its fermentation process, kimchi becomes a superfood containing vitamins A and B and minerals such as calcium and iron. Susan Durso, Founder of Anomaly Season, discusses her contemporary take on traditional kimchi with Lynda Liu, host of Feast Meets West, a podcast on Heritage Radio Network. September 13, 2018 - Professor and author Bruce E. Bechtol, Jr. discusses his new release, North Korean Military Proliferation in the Middle East and Africa: Enabling Violence and Instability. In dialogue with Senior Director Stephen Noerper, Bechtol speaks to the DPRK’s ongoing sales of conventional weapons, ballistic missile and WMD systems and technology, as well as collaboration, in the world’s more volatile regions. September 7, 2018 - As discussions to denuclearize North Korea develop, a number of vexing problems, seen in previous negotiations, have resurfaced. How can the United States and South Korea avoid the trappings while still benefiting from the successful elements of the past? To find out, The Korea Society's associate director for policy Jonathan Corrado sat down with two experts from Ploughshares Fund, Director of Policy Tom Z. Collina and Roger L. Hale Fellow Catherine Killough. They shared insights to challenge the conventional wisdom and inject some fresh air into the conversation. August 23, 2018 - Communications Director of the Korea Economic Institute of America in Washington DC, Jenna Gibson, presents on the commodification of K-culture on a global scale. Ms. Gibson reflects on regional marketing strategies and the economic impact of Korea’s exportation of Kpop. August 2, 2018 - Billboard columnist and Forbes contributor, Tamar Herman, explores the origins of the hallyu wave. From Seo Taiji & Boys in the 1990s to international sensation BTS, how has Kpop evolved? Ms. Herman outlines the elements which distinguish Kpop, notes milestones, and discusses the potential of the global music phenomenon. July 19, 2018 - The Korea Society welcomes Wookwan, cookbook author of Wookwan’s Korean Temple Food: The Road to the Taste of Enlightenment, to introduce Korean temple food built on the philosophy of Buddhism along with the long tradition of Korean cuisine. Korean temple food “does not only provide nutrition for a healthy body, but preparing the food is a practice of mediation as well.” Wookwan, a respected monk and temple-food expert, will demonstrate the preparation of several dishes while sharing knowledge on each ingredient on how to retain natural flavors. The event, co-organized by Korean Cultural Center New York and International Contents Platform, ICP, is not to be missed with inspiring talks followed by a tasting reception. After Talks, What Next with North Korea? A Post Summit Assessment. June 14, 2018 - How do we frame the Trump-Kim summit? What are critical next-steps? Get a Washington insider perspective with Mansfield Foundation President and CEO Frank Jannuzi and National Committee on North Korea Executive Director Keith Luse. Frank and Keith served as senior advisors to US Senate Relations Committee Chairs, and both bring unique contacts and sensibilities to this discussion on dialogue with North Korea and efforts to prevent conflict. Jannuzi and Luse join Korea Society Senior Director Stephen Noerper. This event is conducted in proud partnership with the National Committee on American Foreign Policy (NCAFP). May 17, 2018 - The Korea Society and the Korean Startups & Entrepreneurs association (KSE) address blockchain as a transformational technology and developments in blockchain and crypto markets affecting the South Korean economy. May 11, 2018 - Priscilla Moriuchi, Recorded Future’s Director for Strategic Threat Development, discusses the evolution of North Korea’s cyber strategy, including cryptocurrency theft, sabotage, espionage, and everyday internet usage by Pyongyang’s elites. Priscilla is the former head of the National Security Agency's East Asia and Pacific cyberthreats office. Today, Priscilla uses a variety of tools to generate unparalleled depictions of North Korea’s state-level online behavior. May 10, 2018 - In this roundtable podcast recording, young professionals in Asia policy explore the implications and consequences of the Moon-Kim and Trump-Kim meetings. The discussion revolves around alliance relations, regional dimensions, precedents, new opportunities, and cautionary elements. Featuring: the Asia Society's Isaac Stone Fish, the National Committee on American Foreign Policy's Rorry Daniels, the Diplomat's Ankit Panda, and Columbia University's Henri Feron. May 1, 2018 - Priscilla Moriuchi, Recorded Future’s Director for Strategic Threat Development, has peered into the secretive online behavior of North Korea's elites, and she's here to tell us all about her findings. Combining an astute analysis of Pyongyang's strategic culture with unique access to digital data sets and shrewd analysis, Moriuchi gives us the low down on the drivers and patterns of North Korean digital life, including social networking, news gathering, and cyber attacks. Track one courtesy of Elias Schutzman and Adam Bufano. Track two courtesy of Brian Moore. April 25, 2018 - Stanford University Center for International and Security Cooperation visiting scholar Katharina Zellweger addresses the current state of humanitarian efforts in North Korea. Having visited North Korea more than seventy times, Ms. Zellweger describes current challenges, transparency and government relations, and the impact of sanctions on humanitarian assistance to North Korea. Ms. Zellweger speaks to her current Hong Kong-based NGO efforts aimed at the disabled and children in institutions in North Korea. Kathi Zellweger speaks with the Korea Society’s Stephen Noerper. April 19, 2018 - Chef Douglas Kim, owner of Jeju Noodle Bar in the West Village, presents ramyun, the Korean equivalent of Japanese ramen, demonstrating distinct Korean flavors and ingredients. Brian Goldberg, the owner of Mr. Bing, with locations in the East Village, Urbanspace, and Madison Square Park, serves Beijing-style jianbing, one of the most popular Chinese street foods. The two speakers share stories of promoting comfort foods perfectly suited to the taste buds of native Koreans and Chinese, while also appealing to customers in New York City and worldwide. Moderated by Matt Rodbard, the Editor in Chief of TASTE and author of Koreatown: A Cookbook, a New York Times bestseller. April 13, 2018 - Accomplished film, television, and theater director Jang Jin speaks at The Korea Society. The creative talent behind films such as Good Morning President and Welcome to Dongmakgol, Director Jang shares his experience working in various sectors of the Korean entertainment industry. Moderated by Samuel Jamier of Subway Cinema. April 11, 2018 - Russian scholar Anna Kireeva returns to the Korea Society for a discussion on Russia’s position toward the Korean Peninsula and support for multilateral dialogue aimed at denuclearization. Moscow State University of International Relations Associate Professor Kireeva speaks to President Putin’s re-election and enhanced push in Asia, accusations of Russia’s role as a spoiler on the UN Security Council given differences with the US and others, and its potential contribution to expanding peace on the Korean Peninsula. Dr. Kireeva speaks with Dr. Stephen Noerper, Korea Society Senior Director. April 6, 2018 - Dr. Benn Steil, Senior Fellow and Director of International Economics at the Council on Foreign Relations, discusses his new book, The Marshall Plan: Dawn of the Cold War. Dr. Steil uses archival documents to portray how the initiative’s champions in the State Department were able to realize this grand plan despite immense complexity, uncertainty, and pushback at home and abroad. Steil explains the significance and implications of the Marshall Plan for our modern world, including lessons learned for the Korean Peninsula. Steil joins Korea Society President Tom Byrne in conversation. April 4, 2018 - Dr. Jung H. Pak, SK-Korea Foundation Chair in Korean Studies and Senior Fellow at the Brookings Institution, addresses the lead-up to the potential summit between President Donald Trump and North Korean leader Kim Jong Un. Dr. Pak speaks to areas of potential progress, provides cautionaries, and articulates the challenges associated with the historic meeting. Dr. Pak also addresses how a Kim-Trump meeting could possibly shift regional dynamics and what that would mean for US policy. Dr. Pak speaks with Dr. Stephen Noerper, Korea Society Senior Director. March 9, 2018 - North Korean cyber attacks are hitting the headlines on almost a daily basis as the regime demonstrates an increased ability to innovate and expand the scope of their cyber operations. The Korea Society talks to AlienVault threat analyst Chris Doman, who teaches us about the North's largest hacking group and Pyongyang's latest innovation - hacking cryptocurrency. Music courtesy of Elias Schutzman and Adam Bufano. North Korea, Inc.: A Breakthrough? March 7, 2018 - Does the announcement of North Korea's willingness to negotiate with the US represent a breakthrough? Did the maximum pressure campaign of sanctions and deterrence move Pyongyang to the announced inter-Korean summit and possibly the negotiation table with the Americans? Is there more at play or is this part of the strategy of North Korea Inc.? Are Seoul and Washington in alignment in dealing with North Korea Inc.? Harvard University Kennedy School's Korea Working Group Director, Dr. John Park, addresses media, members and other supporters on the breaking headlines, as well as on the evolution (and devolution) of North Korea’s external trade and commercial ties, notably with China. Dr. Park joins in dialogue with Dr. Stephen Noerper, senior director for policy at the Korea Society and adjunct professor at Columbia University. February 22, 2018 - Join an intimate conversation with defector Seongmin Lee, who escaped North Korea in 2009. Hailing from the border town of Hyesan, Lee witnessed the tumultuous social and economic change in the wake of the 1990s famine. Lee converses with associate policy director Jonathan Corrado in this event marking the fourth anniversary of the release of the UN Commission of Inquiry Report on North Korea human rights. February 16, 2018 - Part 2 of this series - Marking thirty years since the shift from authoritarianism to democracy in South Korea, the Korea Society hosts analysts and experts for an intimate discussion of the transition then, the flowering of democracy since, to include the Candlelight Movement, and the state of Korea’s democracy today. This is a small-group, special recording session. February 15, 2018 - Marking thirty years since the shift from authoritarianism to democracy in South Korea, the Korea Society hosts analysts and experts for an intimate discussion of the transition then, the flowering of democracy since, to include the Candlelight Movement, and the state of Korea’s democracy today. This is a small-group, special recording session. February 12, 2018 - Step into the global phenomenon known as Hallyu, or the Korean wave, with Chung Chung Lee, creator behind the fashion label LIE and son of legendary designer, LIE SANG BONG. Chung Chung is a pioneer in expanding awareness of Korean fashion at 2018 New York Fashion Week through “Concept Korea,” a biannual fashion show supported by South Korea’s Ministry of Culture, Sports, and Tourism. At the Korea Society's event, Chung Chung shares the inspiration behind his past seasonal fashion shows. For fashionistas interested in learning more about up-and-coming K-fashion trends, this event is not to be missed! February 7, 2018 - These first-Wednesday monthly roundtables draw members and supporters from policy, corporate, media, academe, and the United Nations to discuss and debate Korea’s leadership, regional relations or the North Korea challenge. The 2018 kickoff addresses issues of politics and policy in the lead-up to the Winter Games and takes place two days prior to the Opening Ceremonies. Korea Society senior director and Columbia adjunct professor Stephen Noerper addresses the lead-up to the Winter Games with a call-in from the Council on Foreign Relations' Scott Snyder and the Center for a New American Security's Patrick Cronin. February 1, 2018 - Against the backdrop of China’s mounting influence and North Korea’s growing nuclear capability and expanding missile arsenal, South Korea faces a set of strategic choices that will shape its economic prospects and national security. In South Korea at the Crossroads, Scott A. Snyder examines the trajectory of fifty years of South Korean foreign policy and offers predictions—and a prescription—for the future. Pairing a historical perspective with a shrewd understanding of today’s political landscape, Scott Snyder contends that South Korea’s best strategy remains investing in a robust alliance with the United States. January 26, 2018 - This noon session serving policy and corporate leaders examines politics, stability and security on and around the Korean Peninsula. This session features Dr. Sue Mi Terry, who has assumed leadership of Korea programs at the Center for Strategic and International Studies. Dr. Terry, who appears widely in media and was featured at a recent New Yorker event, speaks with Dr. Stephen Noerper, Korea Society senior director, and lends thoughts to likely developments in politics and security for Korea and her neighbors in 2018. December 15, 2017 - Author Ned Forney and retired Admiral J. Robert Lunney discuss the Heungnam Evacuation and Lunney’s “Ship of Miracles” in this special holiday event commemorating the United Nation’s first humanitarian evacuation. Forney speaks to his major Seoul daily release profiling six descendants of those saved, including South Korean President Moon Jae-in. Lunney, who welcomed President Moon to Virginia during his first US visit as President, shares reflections on those harrowing days, acts of heroism, and the extraordinary flight to freedom. A holiday reception follows, marking the December 1950 evacuation for members and guests, to include visitors from the United Nations nearby. The event also marks the 60th anniversary of the first Korea Society board meeting on December 12, 1957. Come celebrate the holidays and be touched by tales of sacrifice and the triumph of the human spirit and Korea-US friendship. November 14, 2017 - The Hon. Lee Hee-beom, President and CEO of the PyeongChang 2018 Olympic and Paralympic Organizing Committee, speaks to members, media and dignitaries in advance of the XXIII Winter Games. The day after a United Nations resolution supporting the Games, President Lee shares insights into the path toward PyeongChang, final steps ahead of the February 9 Opening Ceremonies, and his hopes for PyeongChang and Korea as grand host of these historic events. Joining President Lee will be Minister of Culture, Sports and Tourism the Hon. Do Jonghwan, Gangwon Province Vice Governor Song Seokdoo, and Paralympic hockey star Jung Seunghwan. November 9, 2017 - Pacific Forum CSIS President Ralph Cossa discusses the political and security landscape of the Korean Peninsula and Northeast Asia. President Cossa reflects on North Korea’s uptick in missile and nuclear capabilities, challenges in Korea-US relations, trilateral coordination among Korea, the US and Japan, and China in the wake of the 19th People’s Congress. Senior director and Columbia adjunct professor Stephen Noerper facilitates this special year-end wrap-up on politics and security around the Korean Peninsula. November 8, 2017 - Will Russia play a constructive role in helping stem tensions around the Korean Peninsula? Or will it play the role of spoiler given a decline in US-Russia relations? How do the approaches of Moscow toward Pyongyang and Seoul square with those of Beijing? How is South Korea responding? Noted Russian professor Anna Kireeva speaks to dynamics in Korea’s relations with Russia and China, as well as Russia’s Asia pivot, as part of the Society’s ongoing series on Korea’s regional relations in this special luncheon discussion. November 8, 2017 - Korea Society President Thomas Byrne calls in from Seoul to give us insights on President Donald Trump’s first state visit to the Blue House. As the security threat from North Korea grows, Tom provides on the ground impressions and reflections on the US-Korea alliance, the personal relationship between President Trump and President Moon, and the US-Korea trade relationship. Tom, who is also coming off a trip to Beijing, then discusses the upcoming Trump-Xi visit, highlighting the major issues that will dominate those talks. October 26, 2017 - Members, professors, students and alumni gather to hear Ewha Womans University President Heisook Kim. Among the forefront of Korean educators, President Heisook Kim speaks to the challenges and opportunities in higher education and the growth of women leaders. An alumni reception follows. October 23, 2017 - In the course of his career, painter Po Kim worked in three distinct modes, gestural abstraction, realist still-life and symbolist figuration. Raphael Rubenstein's talk will examine each of these periods and look at how Po Kim's work related to the art of the period, especially that of other artists working in New York. Rubenstein will also seek to understand the motives that sparked his stylistic restlessness, and ask whether his early experiences of war and violence in Korea and Japan may have helped inspire his evident faith in the power of art. October 3, 2017 - Best-selling author and former Washington Post Northeast Asia bureau chief Blaine Harden discusses his riveting King of Spies on its date of release. His third work on Korea recounts the untold story of one of the most powerful spies in US history working on the Peninsula during the Korean War. October 5, 2017 - Are the United States and North Korea on a collision course? Does tough rhetoric mean eventual conflict? The Heritage Foundation’s Bruce Klingner and BowerGroup Asia’s Sue Mi Terry speak to the current high tensions around the Korean Peninsula and ways forward. Both met with North Korean representatives in Stockholm, and these two premier analysts are among those to whom North Korea has reached out for a better understanding of the Trump Administration and its Korea policy. Society senior director Stephen Noerper facilitates this special rapid-reaction, lunchtime dialogue. September 14, 2015 - Chef Hooni Kim, the owner of Danji, a Michelin-starred Korean restaurant in Hell’s Kitchen, and Simon Kim, the proprietor of Cote, a modern Korean steakhouse in the Flatiron district of Manhattan, share their remarkable and challenging experience promoting Korean cuisine in New York City and globally. Marja Vongerichten, host of the PBS TV series “Kimchi Chronicles,” and the author of a companion cookbook titled, Kimchi Chronicles: Korean Cooking for an American Kitchen, moderates the evening program. September 7, 2017 - (Part 2) - Leap from satire to Korean drama and other works by a mid-century master. Delve into a China raw, volatile and often uncontrollable in a novel equal parts muckraking, a transnational love story, and panoramic social critique. Two of America’s premier translators of Korean literature, the Fultons reflect on two recent releases: Sunset, a first ever English-language compilation of the works of the great midcentury writer Ch’ae, known widely for his satire, and Cho’s striking novel portraying China on the verge of world dominance. Cho’s The Human Jungle provides a literary complement to the Society’s ongoing work on Korea’s regional relations. September 7, 2017 - (Part 1) - Leap from satire to Korean drama and other works by a mid-century master. Delve into a China raw, volatile and often uncontrollable in a novel equal parts muckraking, a transnational love story, and panoramic social critique. August 1, 2017 - Award-winning author Krys Lee speaks to the release of her debut novel, How I Became a North Korean, at this first cultural event at the Korea Society’s new location at 350 Madison Avenue at 45th Street. A Yonsei University assistant professor of creative writing, Krys Lee is a recipient of the Rome Prize and finalist for the BBC International Short Story Award. This captivating new release tells the story of three young people who struggle to make new lives in the dangerous area where China borders North Korea. Krys Lee appears in conversation with Korea Society senior director and Columbia University professor Stephen Noerper. July 12, 2017 - With growing cyber attacks possibly linked to North Korea and an eye to the vulnerability of financial and government systems, the Korea Society hosts a private round table discussion on North Korea's Cyber Threat. The discussants for this by-invitation session are the Council on Foreign Relations' Adam Segal and Symantec's Vikram Thakur. Adam Segal is the Ira A. Lipman Chair in Emerging Technologies and National Security and Director of the Digital and Cyberspace Policy Program at the Council on Foreign Relations. Vikram Thakur is a Senior Manager within Symantec's Security Response Team. The session is moderated by Society President Thomas Byrne and Senior Director Stephen Noerper. July 5, 2017 - On July 4, 2017, North Korea launched an intercontinental ballistic missile. Washington called for a global response, and the United Nations Security Council met July 5 on the DPRK launch. Offering insight into the politics surrounding the launch and possible responses is Korea Society Chairman and former United States Ambassador to the Republic of Korea Thomas Hubbard. Offering insights into market impacts is Korea Society President Thomas Byrne, formerly with Moody’s. This rapid reaction report is moderated by senior director Stephen Noerper and produced by Peter Stuehmke. May 11, 2017 - Korea Society President Thomas Byrne convenes a discussion on Korea-China Relations, with former Newsweek Beijing Correspondent Isaac Stone Fish and Stimson Center Senior Associate Yun Sun, formerly with the International Crisis Group's office in Beijing. This session follows on the Society's March Korea-China session with Harvard's John Park and focuses on the twists and turns of South Korea's economic and political relations with China, and examines the complexity of China's support for UN Security Council sanctions against North Korea. May 10, 2017 - Stephen Noerper in conversation with AsiaEast producer Stephen Costello. Costello served with the Kim Dae Jung Peace Foundation USA and Atlantic Council. He is in Seoul to meet with advisors to the new administration. May 10, 2017 - Join Korea Society senior director and Columbia University adjunct professor Stephen Noerper in conversation with Tong Yang, Korea Foundation and Korea Stanford Alumni Chair of Korean Studies Gi-Wook Shin. Professor Shin appears remotely from Stanford University. This rapid reaction program examines the winner and losers in the election, priorities and next steps for the new Korean President, and implications for United States policy given tensions around the Korean Peninsula. May 4, 2017 - Perth USAsia Center CEO and Professor Gordon Flake and former Australian Foreign and Defense Minister Stephen Smith join in conversation with Korea Society President Thomas Byrne to examine new middle level diplomacies under MIKTA. Mexico, Indonesia, Korea, Turkey and Australia comprise this new initiative. Flake,a leading global expert on Korea, and Smith posit new possibilities associated with the arrangement. March 10, 2017 - Former ROK Minister for Trade Jong-Hoon Kim, Vice President and Managing Director of the Asia Society Policy Institute and former Assistant U.S. Trade Representative Wendy Cutler, and US Chamber of Commerce SVP Tami Overby assess the performance and progress of the Korea-US Free Trade Agreement five years after implementation in a discussion moderated by the Korea Society's president, Tom Byrne. March 7, 2017 - Korea-China Relations, featuring John Park, Harvard University, in conversation with senior director Stephen Noerper. John Park, co-author of Stopping North Korea Inc. (MIT, 2016), returns from Beijing and Seoul and offers new insights into the dynamics between the PRC and two Koreas. Seizing on sanctions and other preventive efforts to check DRPK nuclear weapons development, Park, who lectures at the Kennedy School, examines the business of North Korea, ties that may or may not bind, and the realities with which the new US administration must grapple. February 23, 2017 - US-Korea-Japan Trade Relations: Recent Developments and Future Prospects, co-sponsored with the Japan Society and the Asia Society Policy Institute. Despite enduring frictions, Korea and Japan are critically important trade partners and enjoy strong trade with the United States. Shotaro Oshima, former Special Representative of the Government of Japan for the TPP, Wendy Cutler, Vice President and Managing Director of the Asia Society Policy Institute and former Assistant U.S. Trade Representative for Japan, Korea, and APEC Affairs, and others examine trade relations and recent developments and challenges, as well as the future for multilateral trade initiatives. This program takes place at the Japan Society. February 24, 2017 - To mark the third anniversary of the release of the United Nations Commission of Inquiry Report, the Korea Society welcomes Seong-ho Ji, a North Korean defector and human rights activist. Ji speaks on North Korean human rights at an intimate roundtable discussion moderated by Dr. Stephen Noerper, senior director. February 16, 2017 - Despite women blazing the trail at tech companies like Naver and Kakao, a deep divide remains among men and women at the top. Less than ten percent of startup founders are women in Korea, while a quarter of startups are run by women in Silicon Valley. Join us in conversation with principal investor Hee-Eun Park of Altos Ventures. She chats entrepreneurship, gender, investing in startups and what it is like to lead in Silicon Valley with Korea Society director Nikita Desai. February 2, 2017 - Featuring BowerGroupAsia managing director for Korea, Sue Mi Terry, and Park Strategies senior vice president Sean King, in conversation with senior director Stephen Noerper. Terry and King, two of the city’s hottest analysts of Korean and East Asian trends and shifts, speak to concerns about North Korea, China’s rise, and the early staking of the Trump administration. Bringing sensibilities born of business, academe and intelligence, Terry and King raise the specter on what to watch, scenarios unfolding, and the complexities of decision making in a new era. January 19, 2017 - Changyong Rhee, Director of the IMF’s Asia and Pacific Department, and Alexander “Sandy” Wolfson, Managing Director and Head of Global Country Risk Management at Citi, discuss key economic challenges and assess global risks facing Asia and Korea in the years ahead. Rhee and Wolfson offer an overview of the short-term outlook and risks facing the region and address implications of low growth or a "new mediocre" for the region, in discussion with President Tom Byrne. December 13, 2016 - Jieun Baek discusses North Korea’s Hidden Revolution, her new book on the information network growing within North Korea through exposure to foreign films, television, and books. Baek argues that access to information is sparking irreversible change in the social and political consciousness of North Korean citizens. December 12, 2016 - Have a jOlly hOliday with Inspector O! The Korea Society offers its members and policy program participants a special gift in celebrating the release of the final Inspector O novel, The Gentleman from Japan, at 12 noon on December 12. Join us on 12-12 at 12 for the secretive and celebrated Church reading live (and sharing some thoughts on Korea policy going forward). A signing follows, so stock up for holiday giving, and enjoy sweet dumplings as we bid the year adieu. In this new release, Church, a former Western intelligence officer, returns to the secret world of North Korean intelligence and Inspector O. A Spanish factory near Barcelona is secretly producing--under the guise of a dumpling maker--a key machine for the production of nuclear weapons. Western intelligence has gotten wind of this and believes that the machine is meant for North Korea. It is deemed imperative either to disable the machine before it leaves the factory or intercept it. Inspector O is recruited by an old friend to take part in an operation to disrupt the plans for shipping the device. December 12, 2016 - CSIS Korea Chair Victor Cha and Georgetown University Distinguished Professor Robert Gallucci release their advisory for the incoming President and next administration on how best to deal with issues and concerns on the Korean Peninsula. December 6, 2016 - Korea Society president Thomas Byrne, retired General Walter "Skip" Sharp, former U.S. commander in Korea, and Kathleen Stephens, former U.S. ambassador to Korea and William J. Perry Distinguished Fellow in the Korea Program at Stanford's Shorenstein APARC , engage in discussion about the new U.S. president and political, economic and security options on Korea and East Asia. December 1, 2016 - Korea Society president Thomas Byrne facilitates a conversation with the International Monetary Fund’s Asia and Pacific Department’s Deputy Division Chief, Koshy Mathai, on how the Korean economy and regional markets fared in 2016. November 17, 2016 - Dive deep into the K-Beauty world with Soko Glam co-founders Charlotte and Dave Cho. The evening will begin with a panel discussion led by Vogue editor Monica Kim about Chos’ journey with Soko Glam and The Klog, and how their company has become the destination for everything K-Beauty. November 3, 2016 - Pacific Forum CSIS President Ralph Cossa reflects on 2016 developments impacting Northeast Asia, from the step-up in tensions on and around the Korean Peninsula to the South China Sea, in conversation with Stephen Noerper. October 25, 2016 - This presentation by Brandon Gauthier will examine how portrayals of North Korea by the U.S. government and popular media diminished the possibility of diplomatic cooperation between the United States and the Democratic People’s Republic of Korea (DPRK, North Korea) over the second half of the twentieth century. It will specifically argue that policymakers and journalists, among other observers in U.S. society, primarily made sense of the DPRK’s often-brutal actions by describing it as either a puppet of the Soviet Union and China or as an irrational actor incapable of pragmatic dialogue. These reductive caricatures—a product, in part, of evolving ideologies in American society related to the Cold War, foreign policy, and race—blinded policymakers to the nationalistic motives behind North Korea’s decision-making and led the general public to misunderstand events in Korea. While analyzing how intertwined links between culture and national identity influenced American foreign policy in East Asia, this discussion thus highlights the fundamental misperceptions that so often shaped U.S. decision-making vis-à-vis the DPRK since the Korean War. October 21, 2016 - Georgetown University professor and CSIS Korea chair Victor Cha discusses Powerplay, his new book that examines the evolution and importance of America's alliances with Korea and other nations in East Asia. Cha argues that the US must maximize stability and economic progress amid Asia’s increasingly complex political landscape. In conversation with senior director Stephen Noerper. A book signing follows. October 13, 2016 - Tchah Sup Kim has experimented with a wide variety of genres and methods, including pop art, geometric abstraction, mail art, readymade objects, environmental art, and minimalism. Although the styles and materials have changed over time, Kim’s artwork always expresses a quest for the transcendent—as well as a critique of the Western-centric perspective. Born in Japan’s Yamaguchi Prefecture, Kim and his family moved to Gyeongju, Korea, in 1944. He graduated from Seoul National University in 1963 and represented Korea at the Biennale de Paris in 1966. In 1974, a scholarship from the Rockefeller Foundation enabled him to study at the Pratt Institute in New York. Kim’s work was exhibited in the National Print Exhibition, 20th Biennial: 30 Years of American Printmaking at the The Brooklyn Museum (1976), Prints: Acquisitions, 1973-1976 at the Museum of Modern Art (1977), and Six Artists from Korea at the Grace Borgenicht Gallery (1995). The Leeum Samsung Museum of Art, the National Museum of Contemporary Art in Gwachon, Korea, the Library of Congress, the Metropolitan Museum of Art, and the Cincinnati Art Museum all include Kim’s work in their permanent collections. This exhibition is presented in collaboration with the Dongwha Cultural Foundation. September 29, 2016 - Dr. Minjung Lee, visiting scholar at University of California Davis, outlines the evolution of traditional attire throughout Korean history, reveals her research methods, and shares tales about her career as a costume designer for KBS television dramas. October 6, 2016 - Mansfield Foundation president Frank Jannuzi and NCNK executive director Keith Luse, both former senior advisors to the Senate Foreign Relations Committee, discuss the positions of candidates Clinton and Trump respective to Korea and Asia with Stephen Noerper. September 15, 2016 - Frank Ahrens, who served eighteen years as a journalist with the Washington Post, reflects on his experience living and working in Korea. Ahrens was the highest-ranking non-Korean executive at Hyundai Motor Company. A book signing follows. September 15, 2016 - Speaker of the Republic of Korea’s 20th National Assembly, Chung Sye-kyun, addresses current developments on the Korean Peninsula, the Korea-US alliance, and Korea’s regional and global leadership in a special address to Korea Society members and guests. September 12, 2016 - Ha Young-sun, chairman of the board of the East Asia Institute; Chun Chaesung, chair of EAI’s Asia Security Initiative Research Center; and Sohn Yul, dean and professor of the Graduate School of International Studies at Yonsei University; address inter-Korean tensions and South Korea’s security concerns in a panel discussion moderated by senior director Stephen Noerper. September 8, 2016 - Pacific Forum CSIS executive director Brad Glosserman and Council on Foreign Relations fellow and director Scott Snyder, authors of The Japan-South Korea Identity Clash, address progress and potential in Korea-Japan relations in a session co-presented with the Japan Society. North Korea has conducted a fourth nuclear test, a long range missile test and multiple intermediate and short range missile launches this year. As a result, South Korea and Japan have accelerated their cooperation bilaterally, and trilaterally with the United States. The logjam of blocked Korea-Japan relations given territorial and historical memory disputes appears to have given way to the necessity for and practicality of security cooperation. However, this process has been slower and more fitful than many expected. Despite their proximity, their deeply intertwined histories and the convergence of many interests, there are considerable misperceptions in each country about the other. Glosserman and Snyder root many of these problems in the competing sense of national identity in each country. Glosserman and Snyder opine on constraints and opportunities, as well as shared concerns over North Korea's provocations and China's growing reach.